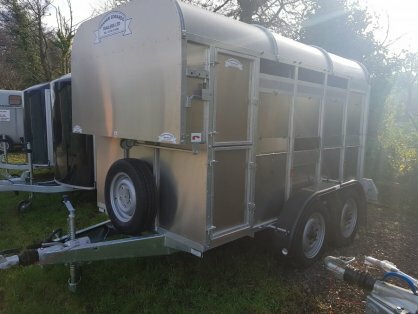 Choosing from the fixed formation livestock trailers 5ft 8in range you are purchasing one of the best trailers on the market. With strength and reliability at the core of the design of the trailer. Our livestock trailers 5ft 8in wide have the wheels on the outside of the trailer which lowers the trailers centre of gravity and makes it more stable when being towed. Not only does it make for better towing, it lowers the chassis height which makes for easier loading of the trailer.